Welcome to the Cheep website. Glad you flew in to join us. Pull up a perch and get comfy. toy ideas & instructions here. Thanks for flying in and nesting for awhile!! New toy ideas added frequently!! 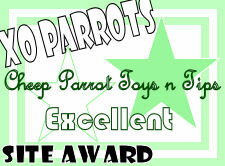 This months XO Parrots Award goes to Cheep Parrot Toys n Tips. 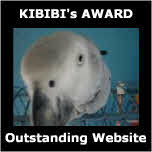 This website was handpicked by our Award Manager, a direct quote from her about the site can be found below. 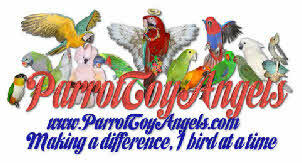 Looking for a specific toy?